Ladies and Gentlemen, welcome to MINI! It’s great to be back in the US again – MINI’s “home away from home”. Last year we delivered more MINIs around the globe than ever before with over 305,000 cars. We achieved this – above all – through strong gains in Asia and the Americas. Here in the US – by far MINIs largest market – the brand achieved its best year in sales ever with over 66.000 cars sold. Two things are clear from our success here: Americans are big fans of the MINI brand and this market is really important to MINI. On that note, I would like to say a big thank you to Jim McDowell for all of his hard and passionate work with MINI in the US. Jim has retired after eight years at the helm and we wish him all the best. 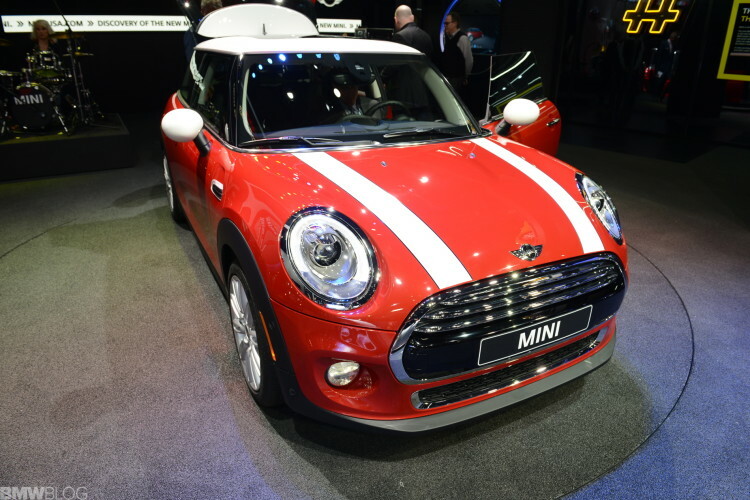 His successor, David Duncan, will be looking to build upon the success story of MINI in the Americas. In Asia, the MINI community is clearly expanding. We achieved record deliveries in China, with sales increasing by more than twenty percent last year. Looking ahead, we are aiming once again for further growth in 2014. Of course, the new MINI will play a decisive role in providing for further momentum. We have taken a quantum leap in the interior, design, function and finish of this car. And it’s been turning heads since its premiere last November – the response to the new MINI has been overwhelmingly positive. We aim to grow even more – not just here in the U.S., but right across the globe. We are now laying the groundwork for the future. For those fans looking for even more driving fun, all models are available as John Cooper Works versions. The MINI John Cooper Works Countryman ALL4 proved its power last year by winning the Dakar Rally. After the seventh leg of this year’s rally the MINI is once again in first place. And the story of John Cooper Works goes on: Today we are presenting a concept car, which delivers an insight into the future of the sportiest MINI. Ladies and Gentlemen, I’m pleased to present – here in Detroit – the world premiere of the MINI John Cooper Works Concept Vehicle!